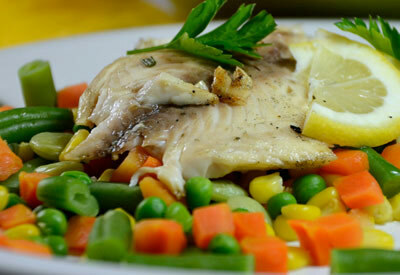 Place thawed tilapia in marinade of rosemary, garlic, oil and orange juice for 2 hours before grilling. Preheat grill to medium high heat or set oven to broil. Sprinkle tilapia with salt and pepper. Grill or broil approximately 5 minutes per side until fish is opaque in center. Serve on bed of vegetables.